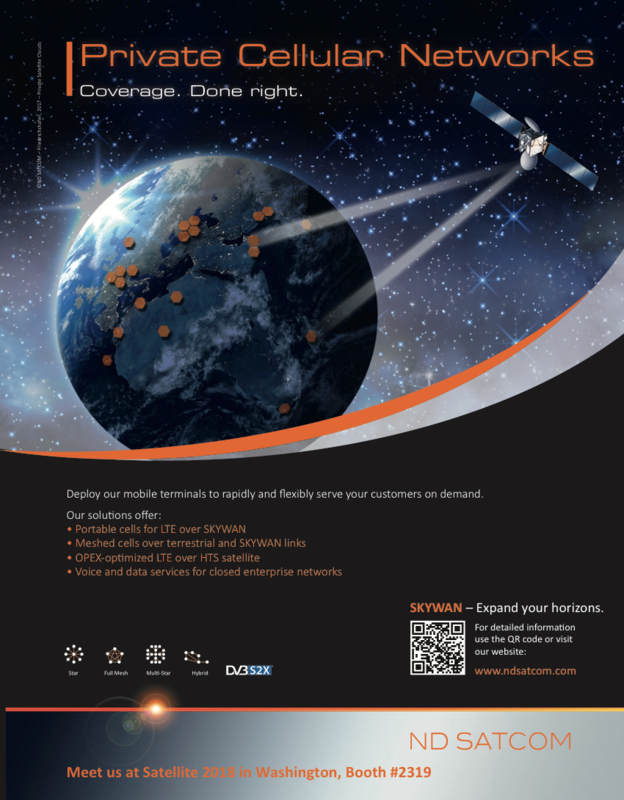 Satellite services that employ rugged, portable, antennas and broadband terminal equipment are a small but distinct segment within the growing land mobile satellite market. 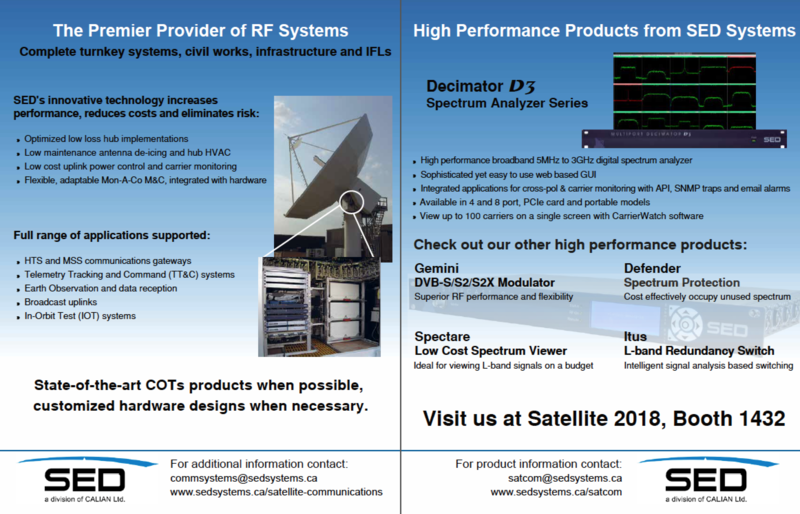 Portable satellite terminals have proven effective for use in military applications, where battlefield strategies continue to require mobility, flexibility, and rapidly deployable high bandwidth. Other uses include contingency and support operations, and intelligence. Applications in the civil arena include homeland security, disaster and emergency response, humanitarian aid, remote oil & gas exploration, as well as broadcast SNG. The market segment includes “flyaways” which can be checked into airline baggage and easily deployed in the field, as well as vehicle mount antennas, “driveways”, and SNG (satellite newsgathering) terminals. 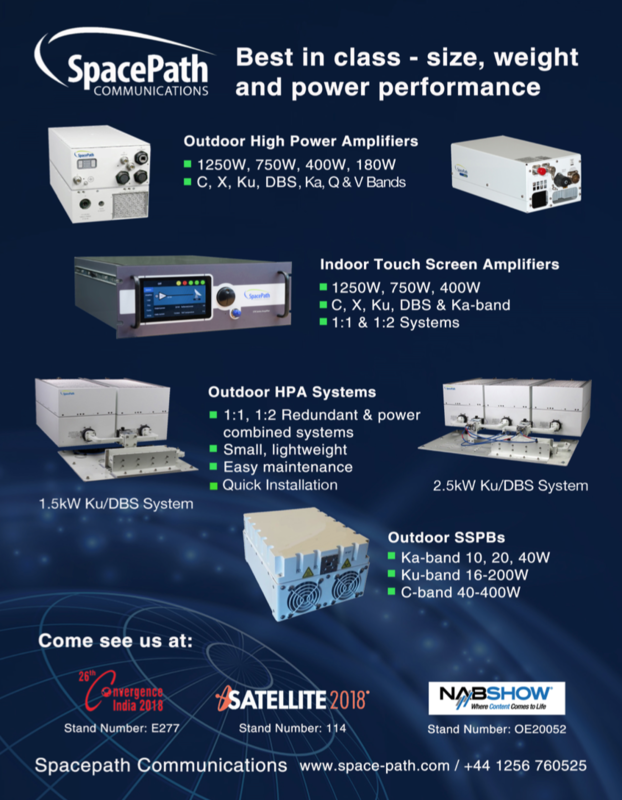 System suppliers in this field include AVL, Norsat, C-COM, Cobham, GD Satcom Technologies, ASC Signal, ND Satcom, Airbus DS-GS, and Sat-Lite Technologies. 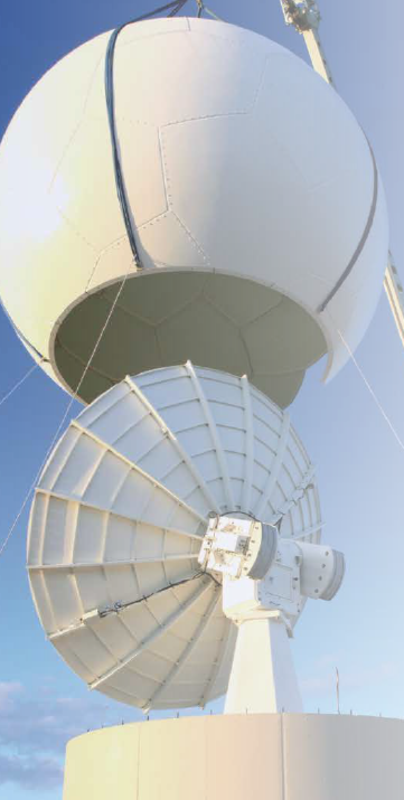 Some systems come with motorized tracking antennas, and/or auto-pointing for easy satellite access, or to meet requirements for tracking non-geo satellites, such as SES’ 03b, and LEOs for communications, navigation, and Earth sensing. 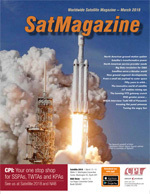 A new market report (http://www.nsr.com/research-reports/satellite-communications-1/land-mobile-via-satellite-5th-edition/) from industry analysts NSR, Land Mobile via Satellite, 5th Edition, forecasts in-service units, equipment and service revenues, as well as capacity demand for land-mobile satellite-based mobility, including land-vehicular, SNGs and Comms-On-The-Pause (COTP) segments. 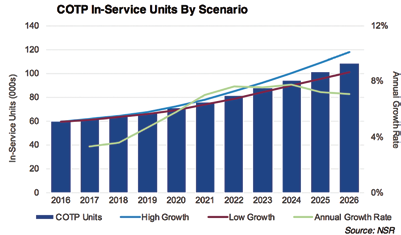 Customers desire light weight, rapid setup, with auto-pointing and/or tracking antennas, and secure high bandwidth communications packages, say industry suppliers. For military and remote applications, terminals need to be rugged and compatible with terminal and encryption systems, and operate in multiple frequency bands. For example, U.S. WIN-T (warfighter information network – tactical) terminals of this kind can operate at Ku-, X-, and Ka-band for WGS (wideband global satellite) systems to support U.S. Army, Marine Corps, and other commands. Some military, first responder, and even SNG applications can be subject to extreme weather conditions including snow, heavy rain and moisture, ice, wind and sand storms. All-weather operations pose unique challenges in deployment of portable terminals. For example, in sand storms, antennas, feeds, auto-track drive systems and reflectors must be protected from dust and sand, and extreme winds that can cause signal interference or outages and damage. In harsh snowstorm, windstorm, rain storm, and hurricane-like conditions, antenna feeds and reflectors must be protected from snow, ice, rain and wind. A traditional approach to protecting antennas from these challenges is to shield the antenna from the environment using a Radome cover. In satellite communications, a radome is a weatherproof, structural enclosure designed to protect an antenna from winds, rain, moisture, dirt, ice, etc. It is constructed of material that interferes minimally with the electromagnetic signal transmitted or received. A Radome protects the transmit antenna. It can also improve antenna performance by preventing high winds or temperature variations from distorting the shape and pointing direction of the reflector. Radomes can also protect electronics and mechanical parts that must be located near the antenna. This is especially significant in extreme environments such as blowing sand or dirt, salt spray, and freezing rain. In addition, the dome structure can be more aesthetically pleasing and also conceal the equipment inside the dome from unwanted observation. Figure 1. Coms-on-the-Pause Market Forecast 2016-2026. (Graph is courtesy of NSR). Several years ago, transported air-supported or “inflatable” antenna-plus-radome combinations were introduced commercially. They offer very light weight flyaway and portable antennas that can be set up in half an hour, and weigh less than half that of conventional “rigid deployable” antennas of similar size, according to suppliers. The inflatable system auto-inflates into a spherical balloon-like structure that encloses and supports the antenna. When properly anchored with spikes, these inflatable antennas can operate at up to 40 mph (64 kph) winds and survive up to 60 mph (97 kph) wind. An air-supported radome must be inflated at all times. Operation depends upon a non-interruptible power supply and blower systems. With inflatable systems, a powered blower must stay on in order to keep the structure inflated so that the antenna continues pointing to the spacecraft properly. If the power is cut and the blower backup battery (typically rated for up to 6 hours) runs out, the “balloon” will deflate. This can cause off-pointing of the transmit antenna and knock satellite service off the air. Walton De-Ice, a leading designer and manufacturer of satellite Earth station antenna de-icing and weather protection systems, is leveraging its nearly four-decade heritage of Earth station antenna weather protection products with the introduction of an innovative new portable satellite Radome. 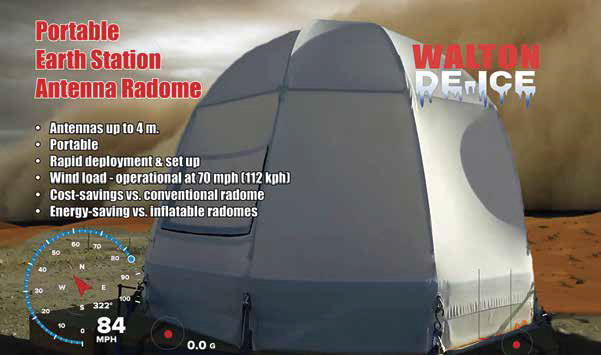 The first release of Walton’s Portable Radome is designed to protect temporary, “driveaway” and coms on-the-pause (COTP) satellite terminals in the sub 4-meter class. (See Figure 4). It can also be used for permanent installations. The Portable Radome allows an enclosed satellite Earth station antenna to continue service during extreme weather conditions, such as sand, wind and rain storms. The Portable Radome first release is built for Ku- or Ka-Band antennas up to 2 meters in diameter. It supports operation during 70 mph (112 kph) winds and 85 mph (136 kph) survival conditions. Unlike inflatable systems, the product requires no electrical power or loud air blowers to maintain structural integrity. The dome-shaped architectural fabric is installed over a fiberglass frame and aluminum base mount. An entry flap offers easy access under the Portable Radome cover after it is installed, so operators can perform maintenance and service the antenna, RF and VSAT equipment under the cover. Unlike air-supported Radomes, the Portable Radome requires no active air blower. The aluminum base with eyelets secures to the Portable Radome to an antenna pad or the ground. Figure 2. 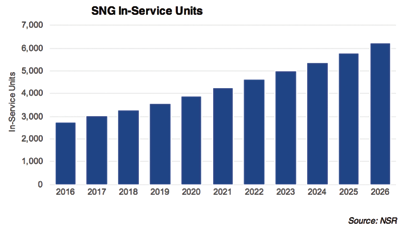 SNG terminal market forecast 2016-2026. (iGraph is courtesy of NSR). Walton’s new Portable Radome uses techniques that have been field-proven in protecting satellite signals in Earths stations at teleports, military facilities, and broadcast networks serving millions of users worldwide. The Portable Radome for Ku- or Ka-band employs the same field-proven virtually RF transparent and hydrophobic Architectural Fabric cover materials used in Walton’s Snow Shield antenna covers, which are deployed in Ku-Band and Ka-Band de-icing weather protection systems around the world. 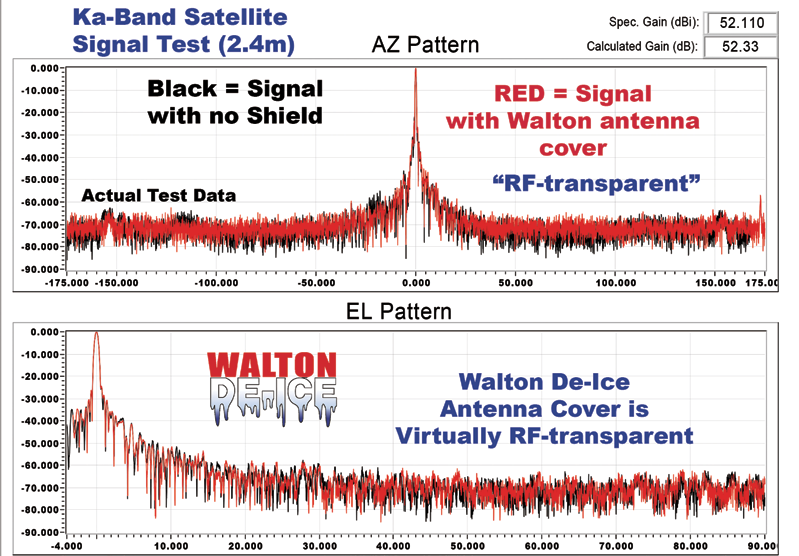 Figure 6 on the next page compares the RF signal receive power before and after the Walton De-Ice Portable Radome material is placed over an antenna reflector, illustrating that virtually no meaningful signal attenuation is introduced by the antenna cover. The figure shows an example of test data at 20.7 GHz (Ka-band) measured at a satellite Earth station antenna test facility. The black signal pattern is the signal level measured with no radome covering the antenna. The Red signal pattern is an overlay of the signal level measured through the same ground antenna after it has been covered by material used in the Walton De-Ice Portable Radome. The Y-scale is power level (dB) relative to beam center; the X-scale is angle (degrees, AZ cosine corrected) relative to beam center). Figure 4. Walton De-Ice’s new Portable Radome. Image is courtesy Walton De-Ice. The new Portable Radome will be offered in various sizes depending on customer requirements up to 4 meters in size. The Portable Radome will be offered in white only for Ka-Band (PTFE Fabric) and khaki, or green for Ku-Band or lower frequency (Kynar Material) civil or military applications. With the many new non-Geosynchronous comsat constellations under development, Earth station designers continue to look for more cost-effective solutions to deploy hundreds of gateway and traffic routing antennas around the world. Antenna de-icing and weather protection is an input to link performance and system costs. When large numbers of these stations have to be deployed in areas subject to alpine or similar extreme conditions, the radome costs element can add up. Non-GEO ground antennas have to track the satellite as it moves “across the sky” over a few hours, or rapidly during a period of minutes. With a MEO in up to 12,000 km circular orbit, the time that an Earth station antenna has line-of-sight could range from 2 to 20+ hours. For LEOs traveling in a 500-1500 km orbit, an individual satellite’s line-of-sight visibility may be only 10-40 minutes. Many systems use Ka-Band, which requires high antenna pointing accuracy, and is subject to high loses due to rain and water. During rain, if an Earth station’s unprotected main parabolic reflector tracks a satellite points skyward towards zenith, water can accumulate in the reflector. Depending on the rain intensity and position of the antenna reflector, and its concavity, this can create a “bird bath” or “fishbowl” effect for several minutes or hours. Figure 5. This image shows an example of field tests of a Portable Radome product for 1.8m antennas during wind survival testing. The photo shows a 2.4 x 2.9m (10’ x 8’) class Walton satellite antenna Radome that was tested with 85 mph wind loads. To prevent these negative effects and to protect the system from other effects of weather, a traditional solution has been to use a conventional radome. However, conventional radomes cannot be de-iced by heat transfer through the Radome’s material. To solve this problem, manufacturers of the radomes offer as an option a “Snow Rope” allowing workers to manually remove the snow from a conventional radome. However, the “Snow Rope” option is not effective in removing accumulated ice from a radome, if compared with an automatic de-icing solution that provides electronic M&C and uses moisture and temperature sensors to trigger events. According to David Walton, the company’s new Portable Radome also offers potential cost-savings versus conventional radomes for some classes of LEO/MEO antennas. There are several reasons for these advantages. 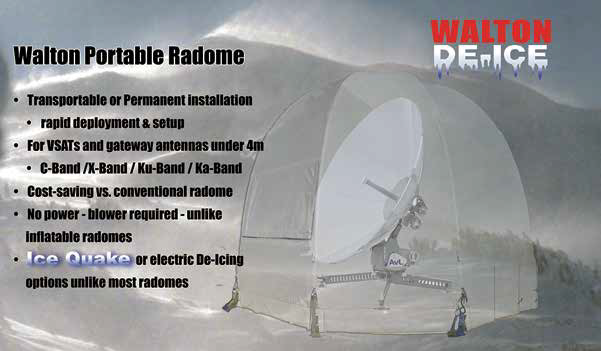 Depending on the antenna size, The Walton De-Ice system can also be installed with less shipping cost and labor expense. For example, in under two hours the Portable Radome can be installed whereas a comparable size conventional radome may take a day or two with a crane. Another benefit of the Portable Radome is the reduced energy consumption required for de-icing the Portable Radome with electric heating systems. “The heat easily transfers through the Portable Radome to keep the Radome free of any ice or snow, with no strings (or snow ropes) attached,” said Walton. With its promise of cost-savings and survivability, the Portable Radome may soon become an essential element of the kit that ground segment designers and integrators need to consider for military, military, first-responder, and similar deployable satellite networks working extreme environments on land. Dan Freyer is Managing Partner of AdWavez Marketing LLC (www.adwavez.com), a marketing agency uniquely focused on helping satellite industry clients build and defend market share with strategic, marketing, and communications services. He has helped top satellite manufacturers, operators, service providers, equipment suppliers, and associations. Dan can be reached at dan@adwavez.com in Los Angeles.